Niky wrote: Very nice and interesting thread. - Deise Nunes - a icon in the 80s in Brazil - is the 1st ever black Brazilian Miss Brasil Univ. She placed in 6th on MU. - Leila Schuster was prepared in Venezuela, by Osmel. For me, personaly, with Martha Rocha (in 1954), she deserved the crown - but 2 judges, aparently, "hated" her on the final night (she was the 1st in the prelims). One of them was the Venezuelan Conchita (Cuban-Venezuelan singer and actress). Maybe she voted against Leila in favor of Miss Venezuela (yes, this things happen, like we it or not). - Gabriela Markus surprised me (or not, when we today think that Brazil will be host country again). Her face is a bit common and she does not look fresh, but wow!, what a show she gave on the stage. A very chic girl, with a great body and a great gown. - What will we say about Natália Guimarães? Wow, she put Brazil, maybe unexpectedly, in the Top 2 of the MU and rekindled the Brazilian interest about the MU. Yes, she is a icon because this. I think, personaly, she was not ready for the crown - a lot nervous in the final question and the unexpectedly Top 5 result. Today, yes, after 3 year in the Top 5, a Brazilian girl will be ready. This is expected, because make a MU is a project. - Adriana Alves de Oliveira made Brazilian eyes shine. Yes, people expected she can take the 3rd crown for the country, after the failed 10 or 15 years before. But the battle would be hard: a Venezuelan girl would be her great obstacle - in the lists of faves, Irene and Adriana were ever named as the winners. At the final night Irene won and Adriana placed as 3rd ru - and Venezuela, since there, taked the place of Brazil in the best results of MU. In 1984, Adriana got to the MW. She was immediately named as one of the faves - and for many Brazilians she was better in MW that in MU and deserved more the MW's crown. She placed in the Top 7 and other Venezuelan won. I thought Natalia & Gabriela would be higher! For me, these were good places. We had a lot of past misseswho were better like Gabriela, for ex. No, the past is not for forget. Maybe, for the new missologists, only names like Natália Guimarães, Gabriela Markus or Jakelyne Oliveria interest, but, before them, Brazil had others. 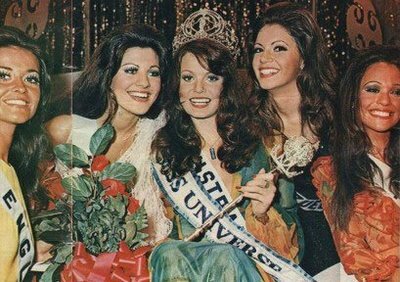 The year was 1972, 4 years after the 2nd Brazilian MU crown. Rejane Vieira began winning Miss Pelotas (city) and after, the Miss Rio Grande do Sul (the state who is the greatest winner in Brazilin pageantry). "It's a dream", she said and thought! So, the girl who was a "simple store clerk" went to Rio de Janeiro, state who was only in her thoughts through photos. And she won the Miss Brazil. In shocked, she did not cry and only "waked up" with the cheers of the public. The Cinderella dream came true. In Porto Rico, Kerry Anne Wells, Miss Australia, won the crown. Rejane placed as 1st ru. Personaly, for me the Top 5 of 1972 is one of the better of MU in all times. Those girlse were so luminous. Suddenly, in poor years, appeared Gislaine. Probably few expected that she would go so well in MU: when she arrived, she soon was transformed in a fave and, at the end, she made a good participation, placed in the top 10. Don't forget: this was rare for a Miss Brazil in these years. But, wait, we go to Miss Brazil. Gislaine was from Minas Gerais (state) and lost the state title, placed like 1st ru. In the last hour, the Brazilian Org invited her to represent the state of Tocantins. And so was. Like Miss Tocantins she won the Miss Brazil and is considered by Brazilian fans on of the better in all times. That's what we can call "right back up". Ieda Maria Vargas (Miss Rio Grande do Sul) is the 1st Brazilian winner of MU. The country had a lot of good results, but something was missing: the crown. "In these times the concept of beauty was different. Did not have the resources like today. The beauty was natural", she said months ago, when the 50th of her title was celebrated. "In the USA I could have made a cine carreer. They invited me, but I only wanted to reign well and after this, wed with my boyfriend". So, after her year like MU, she got back to Rio Grande do Sul and married. Ieda was the 1st who used the "classical MU crown". We have, now, only 2 places. Two misses are in the battle: Martha Rocha, 1st 1954, and Marta Vasconcelos, MU 1968. Make your prediction! Martha Vasconcelos was the 2nd Brazilian titleholder of MU. In this year, Maria da Glória Carvalho won the MI too. 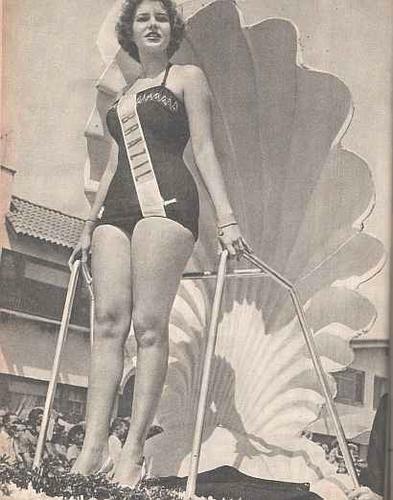 What maybe nobody waited, was that these years (until half the 70s) marked the decline of Brazil in pageantry. 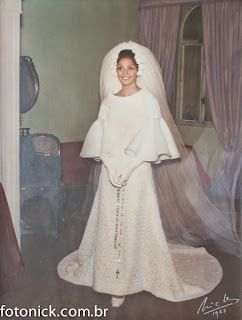 After crown her successor, Marta got back to Brazil and married. She also studied Philosophy and Psychoanalysis. After her divorce, in 2000 Marta got to the USA and made a Master of Mental Health on Cambridge College. She recieved a lot of awards for her job against the violence domestic. - Marta lost the crown because 2 inches more. Martha said: "They never took my measurements." - Miriam won because the American Audiences was bad. The pageant did not have atention of the American press and crown a Miss USA could put the MU in focus. In a interview years ago, Marta said: "What happened is a secret who I never will reveal." So, emerged a eternal icon in Brazilian misses scene: Marta Rocha.